Dr. Stephanie Nazemi was born and raised in Rhode Island. She earned a Bachelor of Science Degree in Biology from the University of Hartford and went on to receive her Doctor of Chiropractic (D.C.) degree from the prestigious Palmer College of Chiropractic West in San Jose, California, where she graduated with honor. Dr. Stephanie Nazemi was a member of the Palmer West Sports Council. While in school, she enjoyed the opportunity to attend events around the Bay Area as part of the medical staff and treat both amateur and pro athletes. As part of her Doctoral Program, Dr. Stephanie Nazemi worked with some of the leading physicians and Health care professionals in the country. Dr. Stephanie Nazemi is an athlete herself, a competitive figure skating for over 13 years. In addition, she was also on her high school girls’ ice hockey team, which won the first Rhode Island state girls hockey championship. As an athlete Dr. Stephanie Nazemi focuses on educating her patients the importance of maintaining one’s health, by using a philosophy of being proactive to prevent health problems both now and in the future. She combines many techniques and rehabilitative exercises to assure her patients receive quality care in order to attain an optimal state of health. 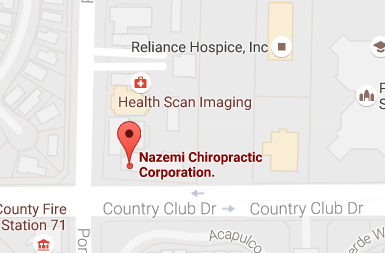 Dr. Stephanie Nazemis’ professional affiliations include the American Chiropractic Association (ACA) and Palmer Chiropractic Council. She also is a member of the internationally recognized Pi Tau Delta Chiropractic Honor Society. Dr. Stephanie Nazemi continues to attend seminars in various cities across the country with some of the world’s best Chiropractors to become more efficient in spinal correction and postural rehabilitation. She is excited to provide progressive and comprehensive musculoskeletal care to families and athletes alike in the surrounding areas.